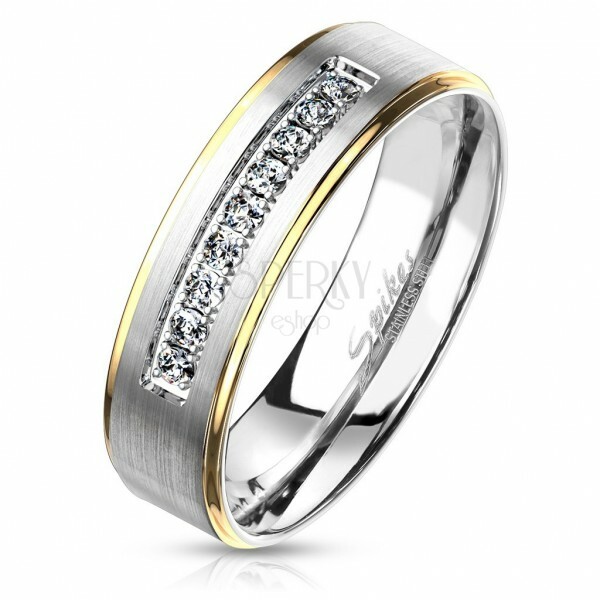 Stainless steel ring, shiny edges in gold colour, matte middle stripe in silver shade with a line of zircons. Stainless steel band has silver colour and is decorated with a matte stripe that is rimmed with shiny gold edges. In the middle is placed a shiny narrow rectangle with imbedded clear zircons of circular shape.